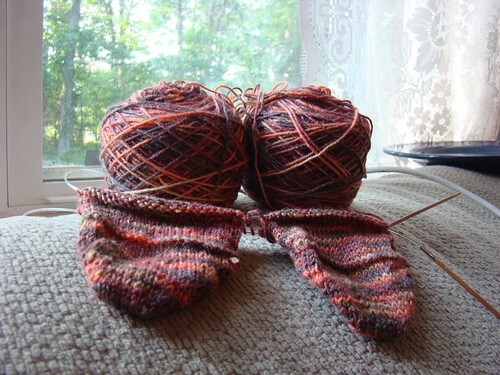 I was knitting myself a pair of socks. I'm desperately trying to use up some of my yarn stash. And, a pair of socks was on the agenda. Then, I realized that Dominic's birthday was fast approaching, and I had no "made by Mom" projects in the works. So, I set down my socks, and started making Dominic a pair of socks. 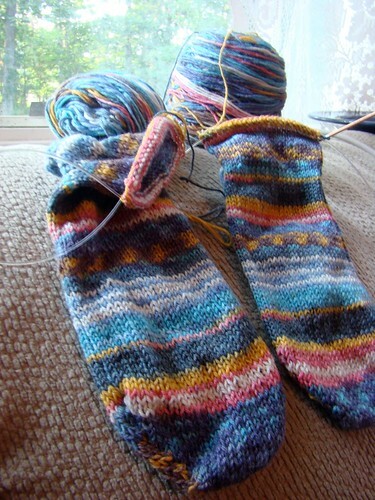 The only problem with sock knitting is that working on small needles makes my hands hurt. I have to take frequent breaks. 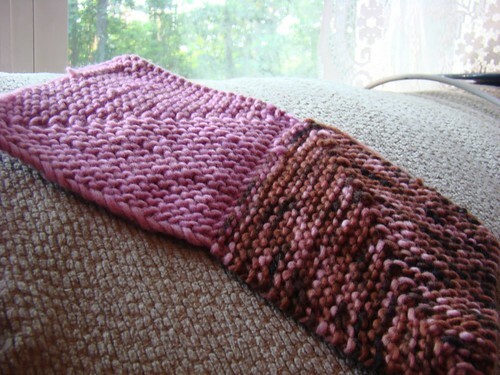 So, I am also knitting this blanket. I had the yarn in my stash, and the pattern perfectly fit my yarn. I am on the road a lot, so not much reading is getting done. However, we are listening to the Lord of the Rings Trilog y as read by Rob Inglis. We're enjoying it immensely. After all, we do live in the Shire! Your socks are so nice! When my hands hurt I try different needles. Metal are the best for me, wooden not so much. the socks and blanket are both great! Swanski, That's funny. I can NOT knit with metal needles. They drive my hands crazy. I started with metal and switched to wood after about 4 months. I was given a huge set of metal needles by my mother-in-law. They belonged to her aunt. I'll always keep them, but I rarely use them anymore.